Ayami Kojima, the artist for this and many other Castlevania games is self-taught. What talent! 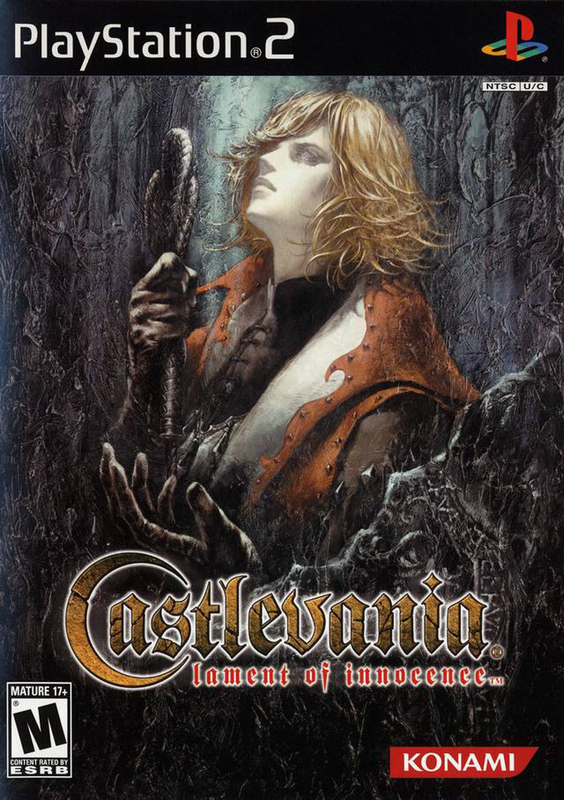 Castlevania: Lament of Innocence was released on this day eleven years ago. 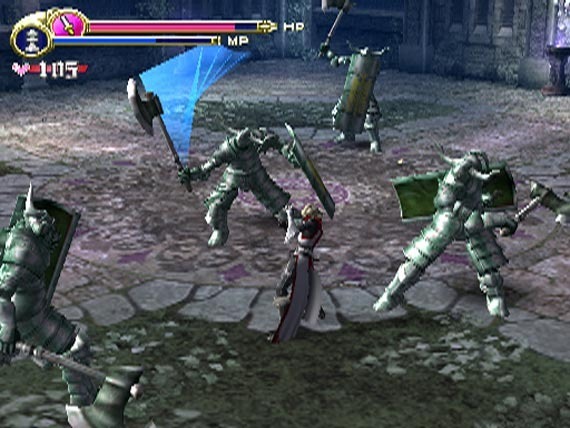 It marked the franchise’s return to 3D, after a pair of reportedly underwhelming N64 titles. 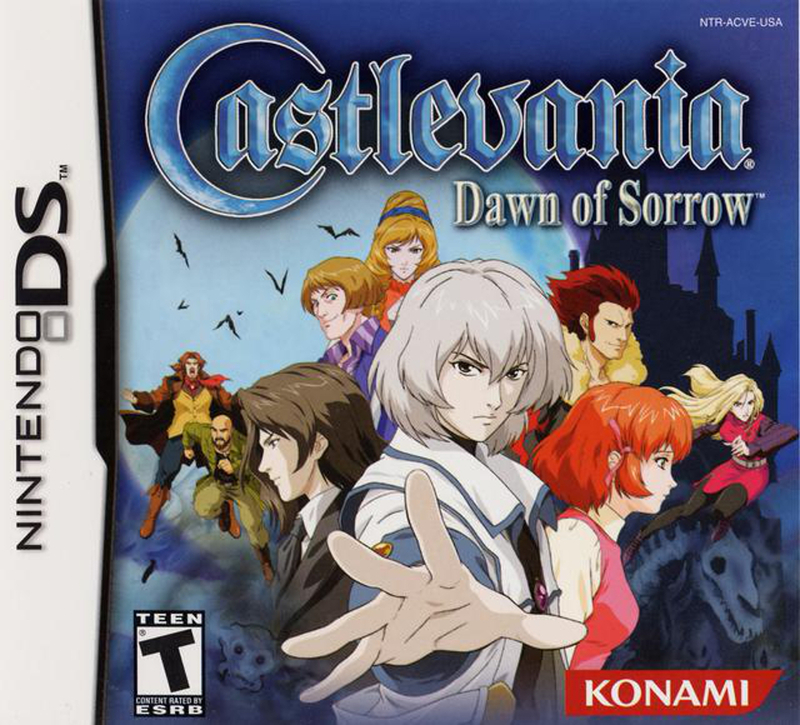 This title also marked Koji Igarashi’s first attempt at doing so, after helming many lauded 2D Castlevanias (Circle of the Moon not among them). It didn’t surprise me when I found this game to be very similar to the GBA and DS games that I adore. 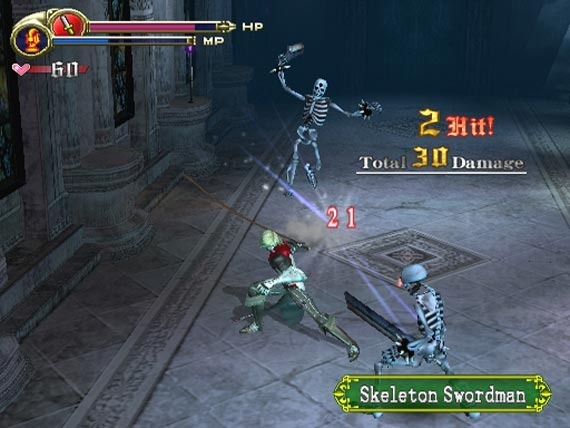 The formula of those games was transposed into the 3D action-adventure genre, although at least one key gameplay element was omitted, making for a less addicting game. But you’re Death. Aren’t you already dead? On top of that, the combat system implemented here lacked much depth. This didn’t bother me too much, although it also didn’t encourage me to explore the full repertoire of the game’s protagonist. But, that leads to one of the facets that drew me into this game and the franchise in the first place – the stories and settings. The Gothic settings and character designs are second to none in the video game realm. This game serves as the chronological origin for the franchise so it’s a key game in that regard, and even with a small cast of characters, I found it to be entertaining and worth my while. It only took me six hours to complete, after all. As I mentioned, the formula that the 2D Castlevanias are known for was completely lifted and applied to the 3D action-adventure genre, with a few exceptions… That formula – the “Metroidvania” formula – is often noted for its extreme backtracking tied to character development. Neither of those elements was on display in this game, much. There was a fair dose of backtracking, but this was generally confined to each unique area. Character development also wasn’t a focus. The HUD would display much information. It wasn’t overly crowded though. The castle that the protagonist was exploring served as a hub to about six other remote sections. There wasn’t much tying these stages together, besides a foreboding sense of trouble. Even the association puzzles that I infrequently came across didn’t cross boundaries. Character development of abilities wasn’t a hindrance to my exploration either, so this was somewhat unique among the more recent entries in the franchise. Exploration was limited, and very straightforward. Thankfully, the castle itself was basically a character; granted one with dissociative identity disorder. Composed of about six distinct areas, the castle was diverse, but always atmospheric. The Ghostly Theatre, the Anti-Souls Mysteries Lab, the Garden Forgotten by Time, you might intuit their ominousness from their names. When they weren’t recycling the same hallway or large room that hosted a group of enemies, they were fun to examine. Especially when coupled with Michiru Yamane’s fantastic soundtrack. The Castlevania games are host to some of the best video game music, and this one didn’t disappoint. In fact, there were a handful of songs that I had to download to listen on their own. Guarding was crucial to this game. It negated all physical damage dealt. 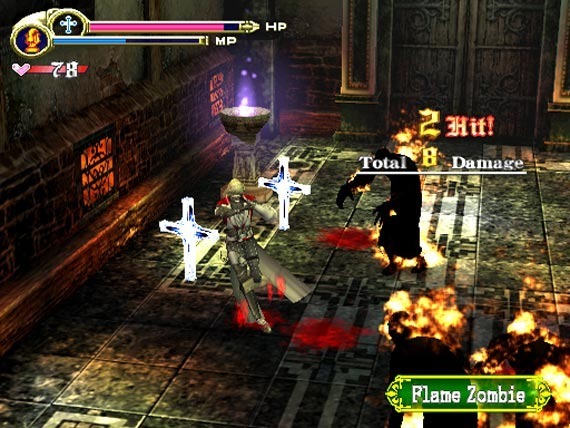 The game’s combat lacked much ambition, especially in comparison to some of its contemporaries, namely Devil May Cry. 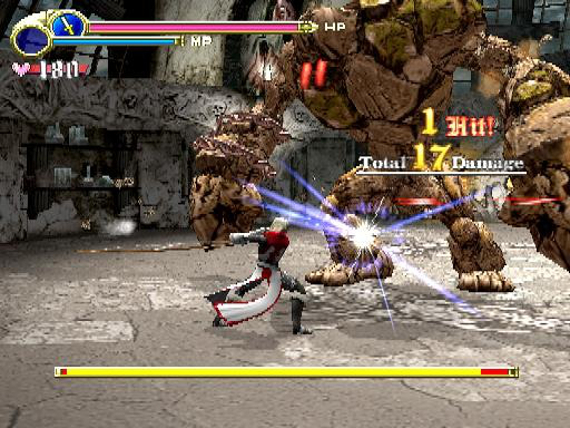 The basic combat centered on light and heavy combos with the franchise’s traditional whip. Also at my disposal was a small amount of magical buffs and the classic sub-weapons from the original Castlevania. I was content to mash the heavy attack button through the entirety of my playthrough, and this was very effective. It didn’t have to charge up much and the increased damage dealt was always worth the effort. I refrained from using magical buffs, as I only had access to one until I was near completion. Plus, I didn’t find the one I had too helpful. On the flip side, the sub-weapons were a highlight. Four of the five were directly from the original Castlevania, but they were more than a nostalgic throwback. They provided many opportunities to deal ranged damage, and each had many variations. These variations were fun to experiment with and allowed me the opportunity to explore that aspect of the combat system, unlike the lackluster whip combos that were gradually learned. On the whole, the game’s difficulty curve was fair. Maybe a little easy, but there were some tough spots too. What made this game less addicting than its handheld brethren was the omission of any role-playing elements. I’m specifically thinking of Aria of Sorrow, where the player character could level up and equip a plethora of weapons. There was nothing like that in Lament of Innocence – and the infrequent health/heart boosts don’t count; nor do the three other whips. Instead, any sort of character development was done strictly though the combat system, which as I mentioned, lacked depth outside of the sub-weapons. RPG elements were commonplace in the franchise at this point, so I have to wonder if their omission had to do with the transition to 3D or a focus on simplicity for the origin story? Lament of Innocence serves as the origins for the franchise, or it did before Lords of Shadow. I believe that’s another “universe” however. Taking place in 1094, the game sets up the eternal struggle between the Belmont family line and Dracula. The amount of exposition was minimal on the whole, with lots at the beginning and end, but little in the middle. The cast of characters was also small, but each is given much screen time as a result. I have nothing but praises for the narrative, definitely a highlight, and well worth experiencing for fans of the franchise. The cross was one of the sub-weapons. 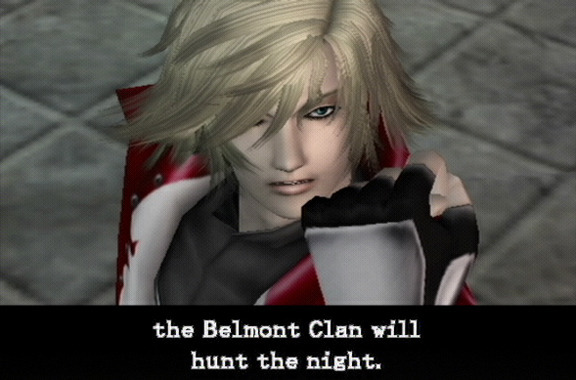 Most of the narrative was told through dialogue between Leon Belmont and Rinaldo Gandalfi. The former was the protagonist, obviously, while the later aided those who sought to defeat Walter Barnhard, the vampire antagonist. Leon entered Walter’s immense castle in an attempt to rescue his betrothed, Sara Trantoul. It initially seems as though Walter captured Sara to draw a foe into his castle – to hunt Leon, more or less – but in a twist, it’s revealed that he was being used by a surprising character, forcing the Belmont family into a future of vampire hunting. Well, now you’ve done it Leon. 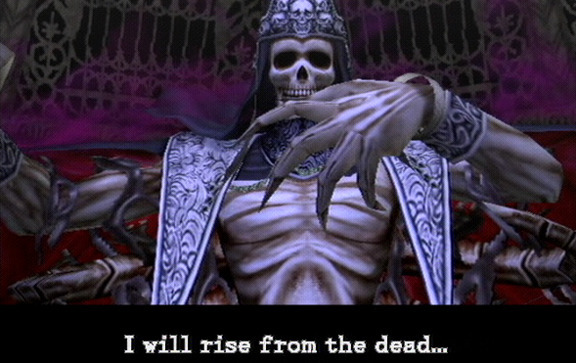 Castlevania: Lament of Innocence proved to be a solid effort at transitioning the franchise into 3D, again. I was disappointed by some of the gameplay elements, but enjoyed others. The combat system on the whole was a little dull, although the sub-weapons were a nostalgic callback, and fun to experiment with. Exploration was also a little dull, despite the castle’s diverse composition. The lack of much RPG influence was perhaps my biggest knock against this game, but I still enjoyed my time with it. Perhaps due most of all to the well told story and mysterious cast of characters. Castlevania: Lament of Innocence is a worthwhile adventure for fans of the franchise or genre, but it’s not the best of either.